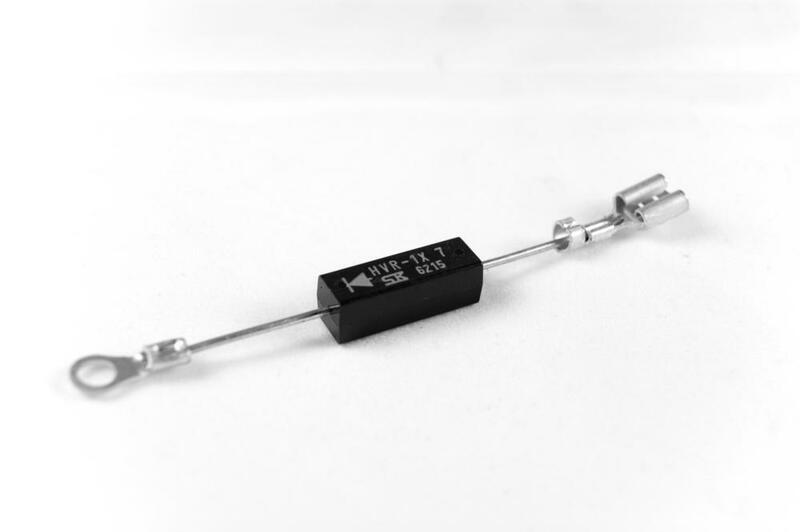 High voltage rectifier with 6.3 mm crimp connector for microwave ovens. Connectors: 6.3 mm crimp terminal, and ring terminal. Samsung CM1069 commercial microwave ovens. Samsung CM1319 commercial microwave ovens. Samsung CM1429 commercial microwave ovens. Samsung CM1819 commercial microwave ovens. AWI 190M commercial microwave ovens. The part was as specified and good quality. Not a lot that can be said about thus item. A generic rectifier at the right price.